Fleet is a dystopian maritime adventure in which sea level rise and disease has driven the last survivors of the human race to sea. I’m releasing the story in serials — 3 chapters on the first Monday of each month — on Amazon. Loyal readers who can’t wait for the next installment can slate their thirst with a series of short stories set in the world of Fleet that will be published on Southern Fried Science every few weeks. Please enjoy the third of these distractions, Shut the Box, where we get to learn a little more about a few of my favorite captains and some of the tangled history of the fleet. “Who gets the first roll?” Captain Binnacle asked as she carried four very full glasses of Gill’s special reserve into the lounge. “Captain’s prerogative, dear.” Captain Grease-pen was sprawled across the long couch that ran the length of Shellfish Lover’s main room. “Very well, Windlass, you’re up!” She passed the glasses to her three guests. It was a quiet mid-week night in the fleet, and the four women were gathered for their regular game of shut-the-box. With fuel rations in full effect, it seemed like they were gathering for drinks every night. 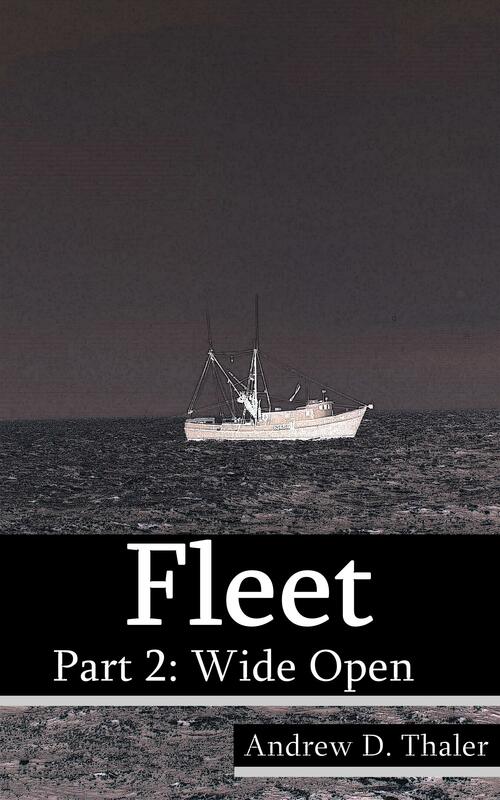 After receiving some great feedback on my first foray into indie publishing, I’ve decided to redo the covers for Fleet, my maritime science fiction serial. Take a look and let me know what you think. And, of course, check out Fleet: The Reach on Amazon’s kindle store. Fleet: Wide Open will be available on Monday! Last month I debuted Fleet: The Reach, the first part of my dystopian maritime science fiction adventure. Part Two: Wide Open will be hitting the Amazon Kindle store in a few week. If you’ve read Fleet: The Reach and are are looking for a way to get your Fleet fix, you can check out the short story Genesis, featuring a few secondary characters discussing the history of the fleet. 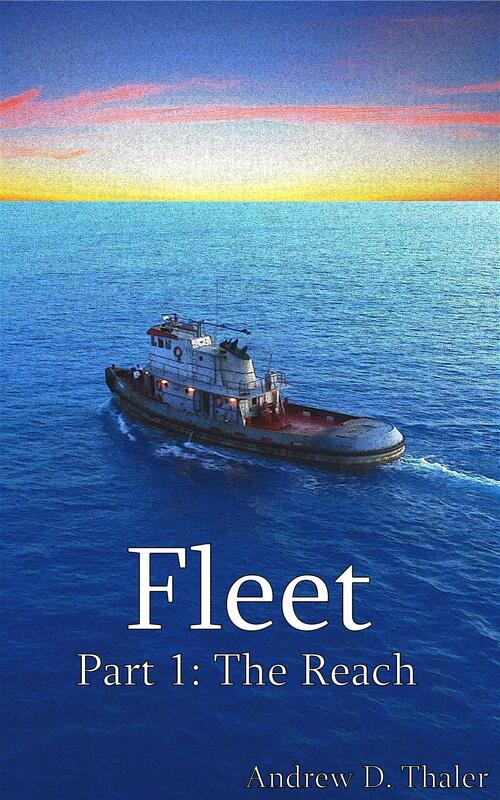 You can also listen to me discuss Fleet on the Variation, Selection, Inheritance podcast with Randall Hayes – Episode 65, Andrew Thaler, Unemployed Oceanaut. And with that, I’d like to unveil the cover for Fleet: Wide Open. Enjoy! And don’t forget to go check out Fleet: The Reach. 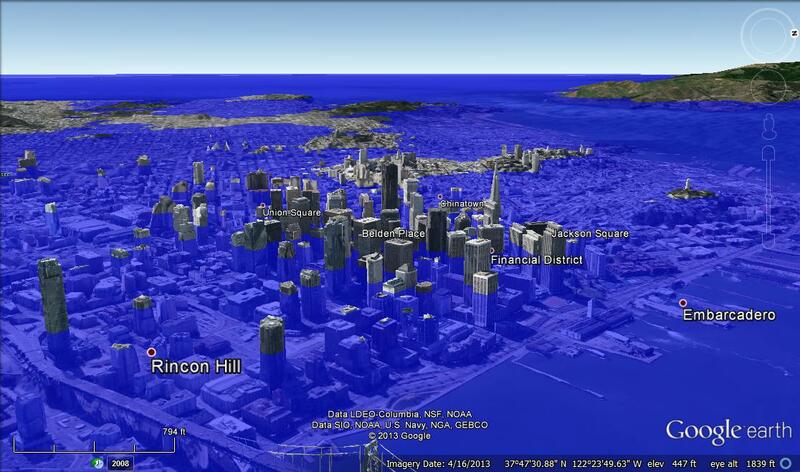 It’s the near future, the rising tides have swallowed much of the world’s coastlines, and the last survivors of a deadly plague are scattered across a new and vastly different ocean. But all is not well in the Reach. The fish are dwindling, the currents are shifting, and secrets long thought lost are rising to the surface. Fleet is my experiment in semi-serial science fiction self-publishing. Every month I’ll reveal three more chapters in this epic saga, starting today. Check it out in the Amazon Kindle store — Fleet: The Reach. This is an experiment, so I want to here your thoughts and comments, what you loved, what you hated. Part 1: The Reach is only $0.99 (please note, subsequent parts will be $1.99) and all parts will eventually be compiled into an omnibus edition, with a few extras. Please leave your impressions in the comment field below. And, of course, if you like it, please take the time to leave a review on Amazon!